On October 1st, we want YOU to join us at Queen’s Park! 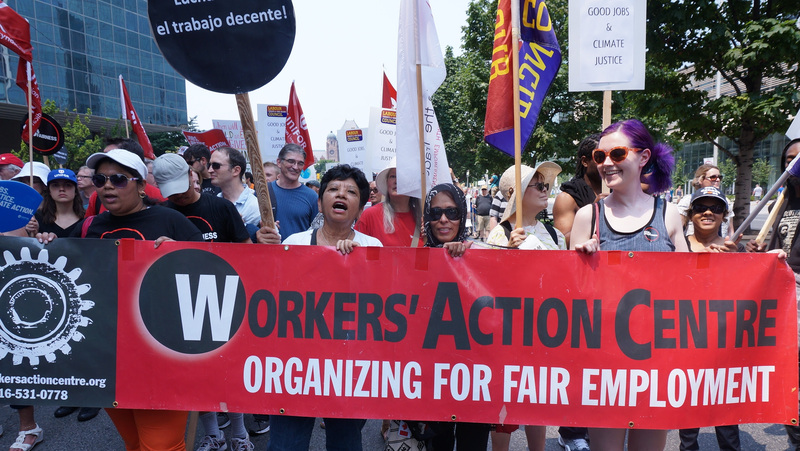 We will take our message of $15 and Fairness directly to Queen’s Park with unions, community groups, students and workers from across Ontario. We want to make sure that the government is going to make important changes to our labour laws to tackle precarious jobs and improve conditions for us all. These next few months are critically important. The final recommendations will be coming out in early 2017 but we need to ensure that our politicians know what we want and that we expect them to make the right decisions concerning our working lives. The decisions they make will have a lasting effect on our rights today and generations to come. On Saturday, October 1st we need you at Queen’s Park together with your friends, coworkers and family. We are gathering at 12:00 pm (noon) at the Northwest corner of the University Avenue and College Street intersection. Sign up today to let us know you are coming, click here. By coming together in our thousands on October 1st, we can send a strong message that we need real change for workers. See you at Queen’s Park! Stay tuned for further information, and follow our Facebook & Twitter accounts for more regular updates.